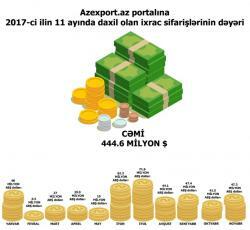 The export promotion portal of Azerbaijan - azexport.az received orders worth $444.6 million from 71 countries during the eleven months of 2017. 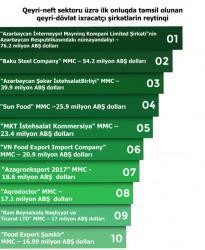 The report of the Center for Analysis of Economic Reforms and Communications for December reads that during the 11 months of 2017, the total volume of non-oil export operations with the participation of 1,824 companies amounted to $1.39 billion, which is by 22 percent more than the figure fixed in the same period of 2016. 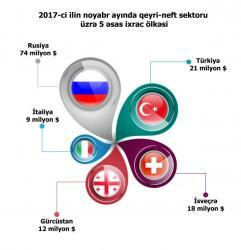 During 11 months non-oil products worth $498 million were exported to Russia, $264 million to Turkey, $133 million-to Switzerland, $120 million-to Georgia and $52 million to Italy. The analysis shows that the first place in non-oil exports is taken by tomato with $140.2 million, the second place-gold with $116.4 million and the third place-hazelnut with $105 million. 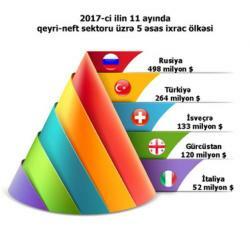 Russia leads the list of countries that have made orders from Azerbaijan with 18.4 percent. 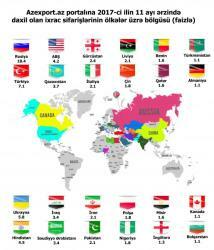 Some 7.1 percent of export orders fall to Turkey’s share, 5.8 percent-to Ukraine’s, 4.5 percent-to India’s. 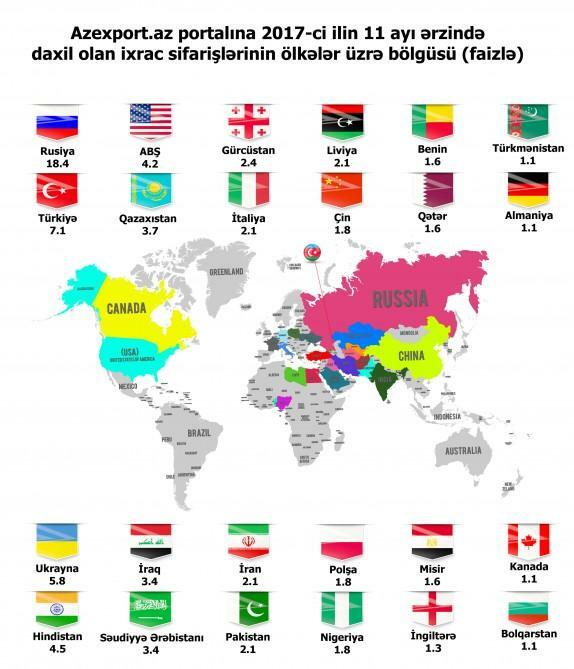 Then comes the U.S. with 4.2 percent, Kazakhstan with 3.7 percent and Iraq with 3.4 percent. For the first time orders were received from Kuwait, Syria, Hungary, Macedonia and the South African Republic in November. The volume of export orders received in January amounted to $48 million, in February to $6.5 million, in March to $27 million, in April-to $29.9 million, in May-to $19 million, in June-to $62.3 million, in July-to $71.6 million, in August-to $44.1 million, in September-to $47.4 million, in October-to $41.5 million, in November-to $47.3 million. Among the orders received during the reported month are mainly nuts, wine, tobacco, milk powder, chicken eggs, silk carpets, apple, onion, pomegranate, pomegranate juice, engine oil, etc. 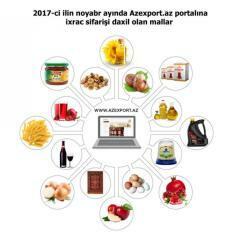 Azexport.az was created in accordance with the order "On creation of a unified database of goods produced in Azerbaijan Republic", signed on 21 September 2016 by President Ilham Aliyev. 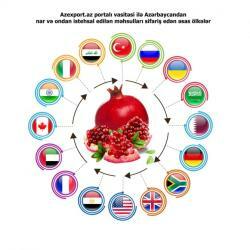 Mission of Azexport.az, managed by the Center for Analysis of Economic Reforms and Communication is to provide information about products of Azerbaijani origin and becoming the beneficial platform for their sales in foreign and domestic markets. Azexport.az, integrated with the most popular electronic trading platforms makes the products available to potential buyers from anywhere in the world. 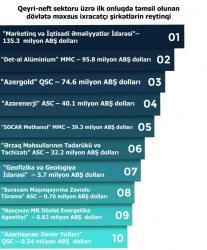 Being available in the Azerbaijani, Russian and English languages, it acts as a single digital destination for trade, bringing together and connecting local entrepreneurs, international buyers and international investors. The portal offers fast and secure payment to VISA, Master Card and American Express cards owners.